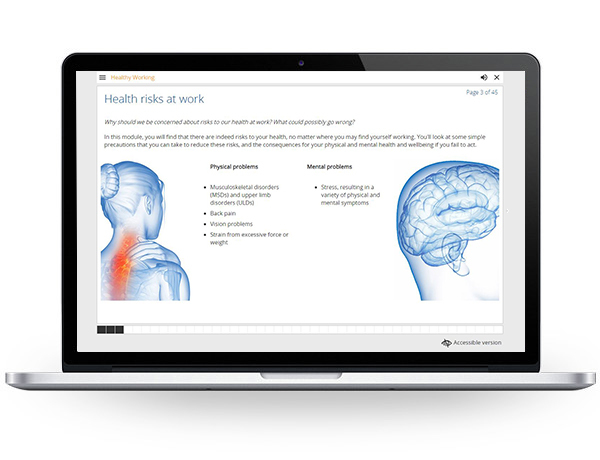 With this course you’ll be introduced to making your health and wellbeing a priority at work. 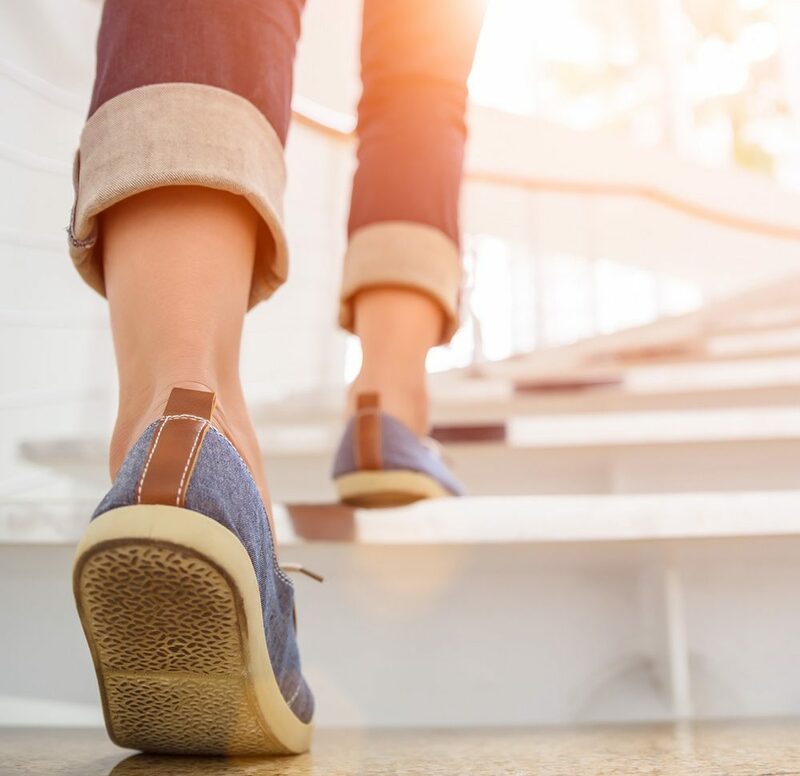 You’ll learn how to follow best practice guidelines to help promote a happier and healthier you in your working environment. Ideal for: Professionals within any industry looking to promote health and wellbeing in their working environment. This training provides a high-level overview on taking care of your health and wellbeing in the workplace. 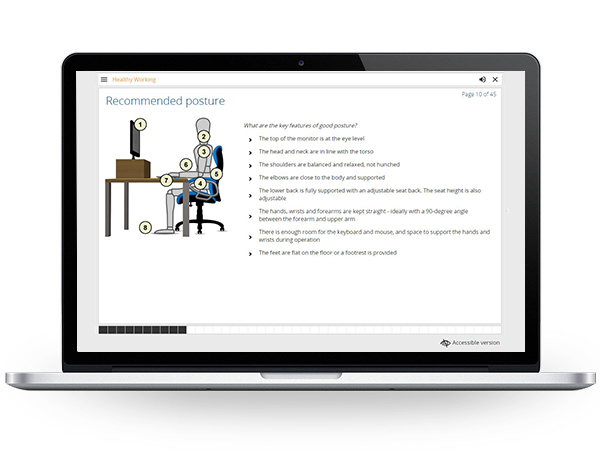 It covers topics ranging from office ergonomics, manual handling and stress management. 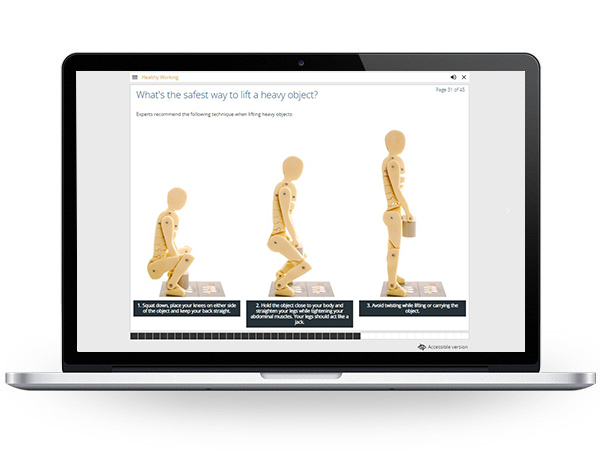 This course is available via eLearning: an interactive format accessible worldwide. 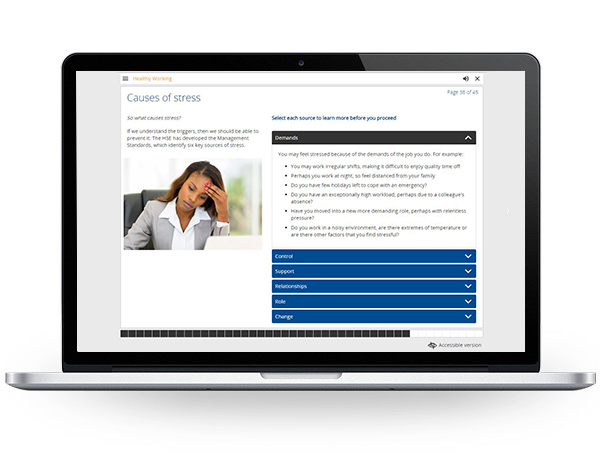 eLearning courses can be purchased individually, or added to your company’s own branded LMS Learning Management System. Full Details: Access will be provided within 1 working day, to the email address specified at purchase. Interested in our professional training courses, solutions or LMS? Get in touch for more information or to arrange bespoke training for your business.